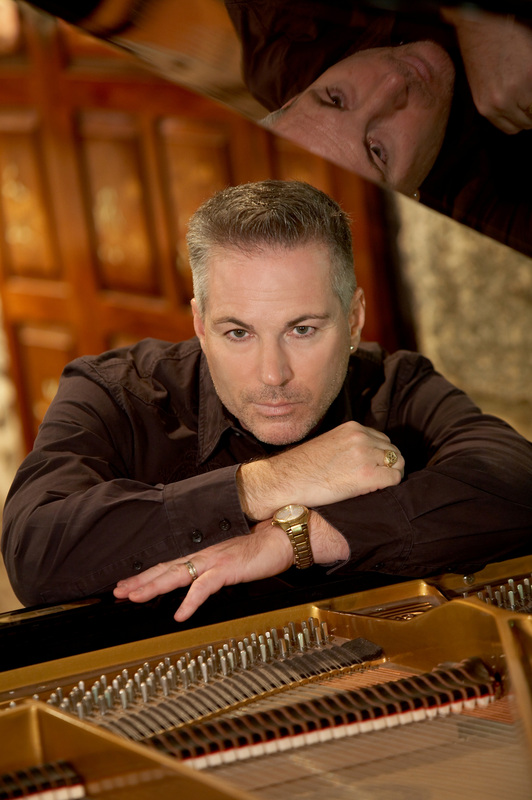 Bryan Rowe seems to have a quiet heart; you can hear that in his gentle, soulful piano playing. It is a soft-spoken personality whose fingers grace the keys, but one that has endured turmoil as well. His album, Songs of the Soul, is a contemporary classical piece with the evocative air of a soundtrack. However, it is not cinema that Rowe’s compositions conjure, but the reels of memory, unspooling in the deepest recessions of our imagination. Julian Wilson: The depth of emotion in your work is quite extraordinary and, in the stuffy world of classical music, quite a departure. When you compose music, do you write from the images in your mind? Bryan Rowe: As a composer, I create music, the melody being the most important, which reflects events that I have personally lived through or an event which has particular meaning to me that someone else has experienced. This can be somewhat risky because the emotion that is involved in creating and playing this music exposes me to the listener. Though risky, I have this hope that what I have experienced can relate to the listener’s life experience through my music. Wilson: What are some of the things that move you as a pianist? Name one or two of your pieces that are especially close to your heart. Rowe: The piano to me is such an intimate instrument. The ability to let the piano play itself is an experience that I have when I play. By this I mean that the piano is my conduit: the music simply pours from my being into the keys. The ability to caress each key on the piano strikes me – this allows me to not only create evocative melodies but couple the music with emotion and sensitivity. Two pieces of my own that quickly come to mind are pieces I have written for certain people who have touched my life: “Laura’s Dance” and “Nocturne in a,” both from the CD Spiorad. Two pieces from the classical world would definitely include Beethoven’s “Moonlight” Sonata and Chopin’s “Ballade in G Minor,” both pieces I frequently play in concert. Wilson: How did it begin, such unbridled passion for the melodic and sublime? Rowe: Playing the piano began at age four when my dad brought home pieces of a piano and put it together in our basement. I began playing by ear. I mention this because the music I hear in my head as my own lives there for a while until I sit down and play it. I would be remiss if I did not mention that I believe I have been given the gift for creating melodies which evoke emotion. Knowing something of mathematics, it is easy for me to analyze why certain melodies have an effect on the psyche and heart. However, I do not use mathematics in my creation of melodies. These come naturally to me; I do not sit for hours at the piano and try to come up with tunes which I think will touch people. A recent experience was the creation of music for my daughter’s wedding. I created a suite of three pieces for the ceremony, each of these incorporating tunes which focus on the love and devotion that I have for my daughter. Again, the music takes on a personal, autobiographical nature that others can relate to. Wilson: What artists, classical and otherwise, do you feel embody your elegant sense of taste? Rowe: As a composer, I am, of course, influenced by the sounds of others that are not my own. These find their way into my psyche, and together with my gift of melody, music is born which is emotional and, as you put it, sublime. I would have to say that some predecessors would include Johann Sebastian Bach, Frederic Chopin, Maurice Durufle, Sergei Rachmaninoff, Samuel Barber, and Eric Korngold. Through their film scores, contemporaries would definitely include Ennio Morricone and John Barry. Wilson: How often do you compose music? Is it a spontaneous process or something that is more thought out? Rowe: Though I work best under pressure when I know I have a project to complete, I compose music when it has lived in my head long enough before I sit down at the piano and play it. To me, it is like the performer of any piece who plays or sings in public in a concert or recital venue; living with the music long enough is an essential part of composing and/or performing music. However, I am a lover of improvisation; I am able to, at any time, compose a piece which is based on a spontaneous melody. I have been improvising since I was 4 years old. Of course, the melodies have become more sophisticated yet economical in the use of notes. The additional component of living through more life experiences has had an integral effect on the creation of my music.